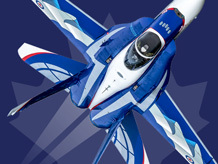 Join us for Aero Gatineau-Ottawa on September 15, 2019 and experience an afternoon of exhilarating performances and enjoyable family fun! Everyone will delight to see our Canadian icons the Snowbirds return to the skies over Gatineau and the RCAF 2018 CF-18 Demo Hornet along with aircraft the US and Royal Air Forces. Aviation enthusiasts will love seeing vintage aircraft in the air and on display from the Michael Potter Collection of warbirds as well as an exciting acrobatic demonstration These and many more have been invited to be Aero Gatineau-Ottawa 2019.